Don’t want to heat up the kitchen? Tired of bland commercial pizza? Heard enough about Godfather’s Pizza to last a lifetime? 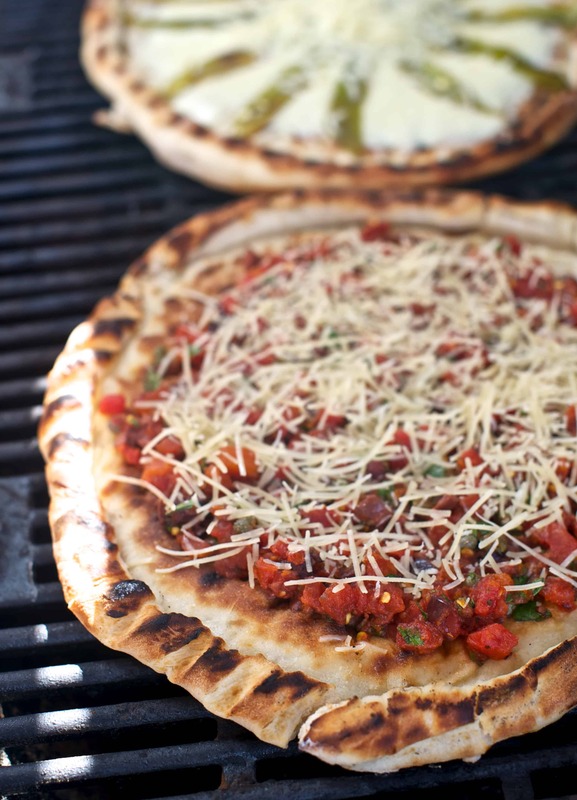 Try this spiced up Southwestern pizza cooked on your grill! In this recipe we attempt to recreate the wonderful thin-crust pizza from wood-fired ovens in your very own backyard. Our homemade crust has something that Pizza Doodle Express does not: chile. But if you’re lazy and don’t want to make your own dough, you can use a 12-inch, pre-baked pizza shell. You can also easily make the dough in your bread machine. It is very important to have a clean grill for this recipes, as any residue on the grill will give the crust an off flavor. Why not make both toppings and divide the pizza? 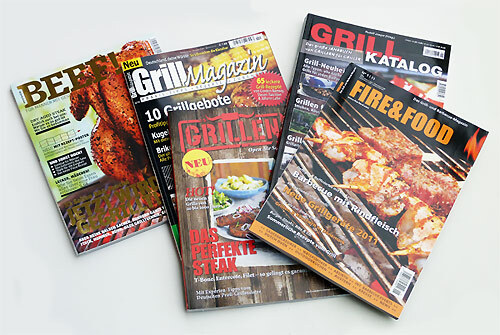 You can read another article about grilled pizza by Mark Masker on the Burn! Blog. In it he celebrates National Pizza Day—February 9. To make the pizza by hand, combine the water and sugar in a bowl and stir in the yeast. Let stand for 10 minutes until foamy. In a large bowl, combine the flour, salt, chile and pepper. Make a well in the flour and pour in the yeast water and olive oil. Stir until almost mixed, turn onto a floured board and knead until the dough is smooth and elastic. Place the dough in a lightly oiled bowl and cover with plastic wrap. Place in a warm, draft free location and let rise until doubled, about an hour and a half. Punch down the dough and divide into 2 balls. If preparing ahead of time, place in the refrigerator until ready to use. Bring the dough back to room temperature and then proceed with the recipe. Roll out each portion into a round or oval pizza or do it free-form. If it will fit on your grill, you can also combine the balls into one and make one large pizza. Heat a gas grill to hot. If using charcoal bank the coals to one side, creating a hot side and a warm side. Brush the dough with additional oil. To make the puttanesca, place the tomatoes on the cooked side of the pizza, sprinkle the capers, olives, pepper and cheese over the top. Shake a little garlic over the pizza and sprinkle some olive oil over the top. To make the Southwestern topping, lay the green chile strips over the cooked side. Top with the cheese and sprinkling of the olive oil. Slide the pizza(s) back onto the grill. Cover and cook, rotating once or twice until the toppings are heated through and the crust is browned, about 5 minutes on the cooler part of the grill.